It was with great sadness that we learned of the death of Fred Buller in February. 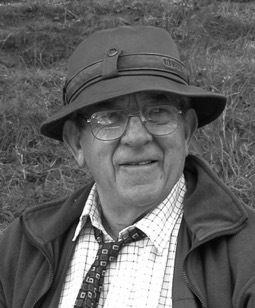 Fred's contribution to angling was second to none - he was a great fisherman, prolific writer and one of angling's most notable historians as well as someone who took an active interest in tackle development, having founded the Moncrieff Rod Development Company with Leslie Moncrieff, Fred J. Taylor and Richard Walker. As well as being a Medlar author and a contributor to Waterlog, Fred was also a personal friend and we will miss him greatly. For further details of his life, please refer to our Author page and also to the appreciations written by Malcolm Greenhalgh and Andrew Herd in Waterlog no. 95 - the Spring Edition. That edition also features an article written by Fred about his great friend Hugh Falkus.